In eight days we rode 318 miles and climbed more than 45,000 vertical feet . . . and saw some of the most beautiful sights on the planet. It was truly an amazing trip! There is no single photo that can capture the trip, but this one comes close . . . it's Val and me at the top of the spectacualr Nesque Gorges, which we rode after descending off of Mt. Ventoux in Provence. Note the balcony road behind us, which is the way we descended back to our Chateau in Mazan. PS. After a long flight home we thought we'd test our legs on Mt. Baldy the following morning (we were up very early anyways :-)). Even though Val and I were very fatigued from travel we both felt great and set personal records; I beat my previous best up Mt. 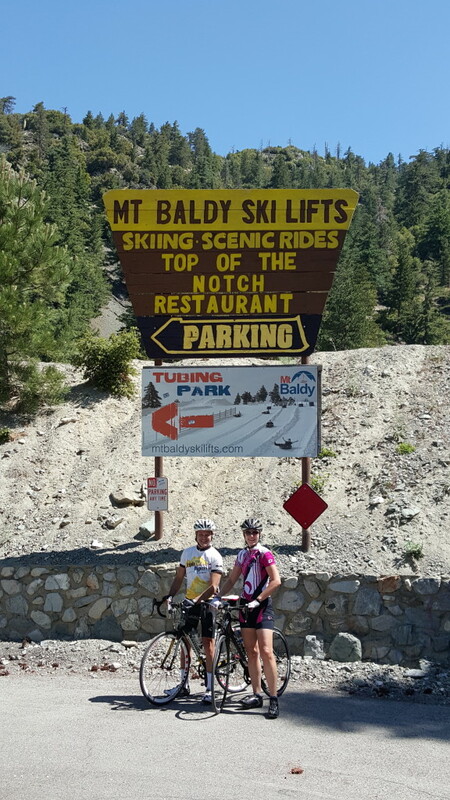 Baldy by seven minutes!